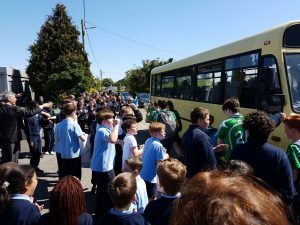 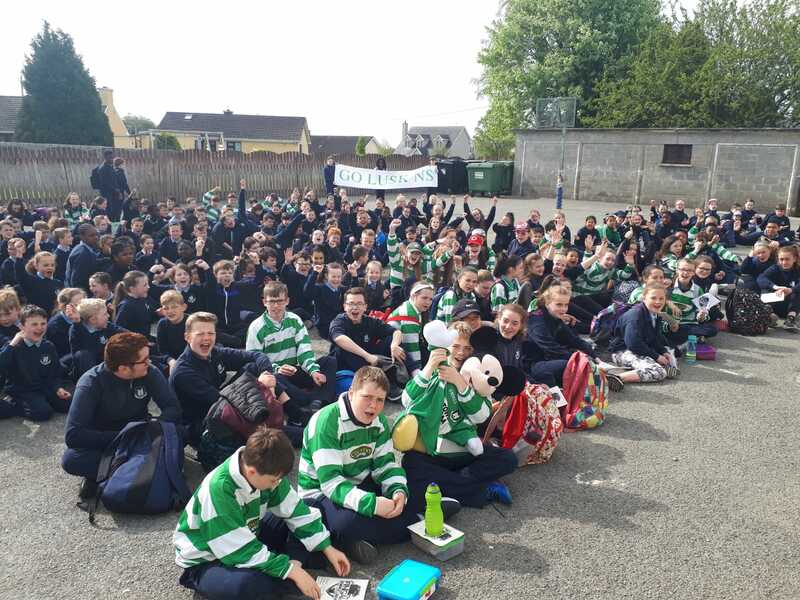 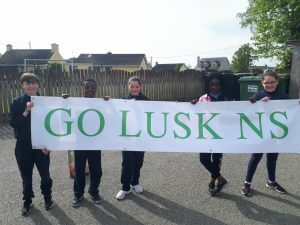 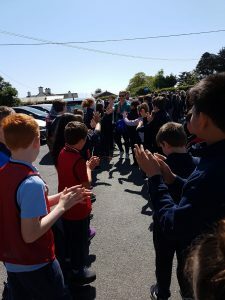 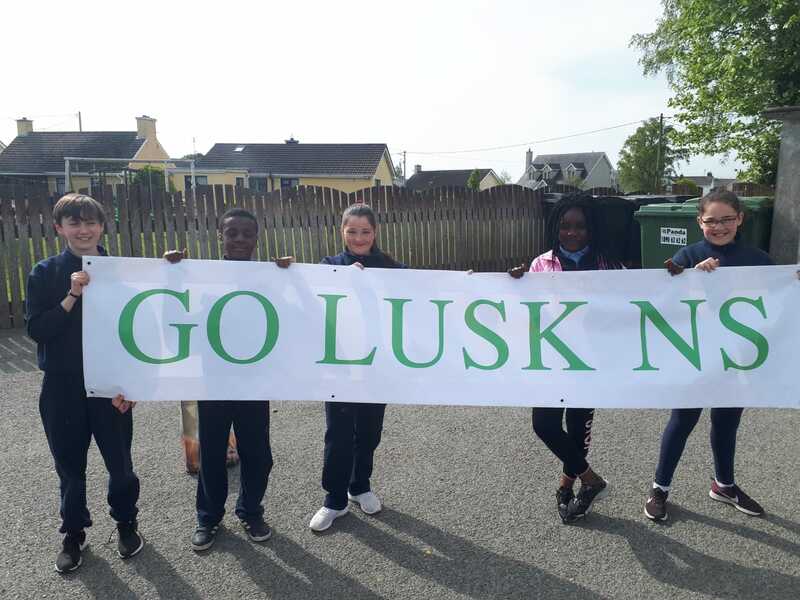 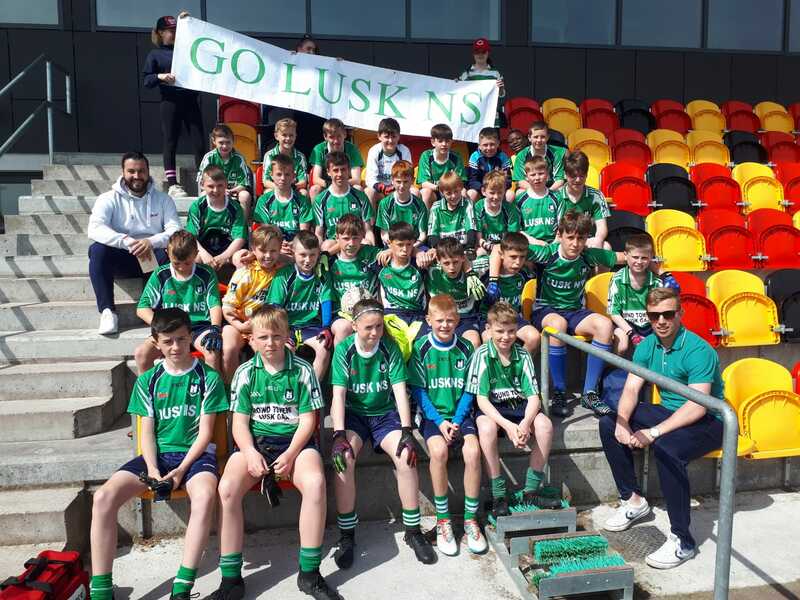 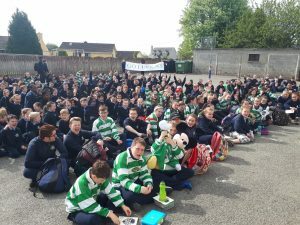 The Lusk NS Senior GAA Team had a fantastic victory in the Fingal League Finals held in Abbottstown on the 17th of May. 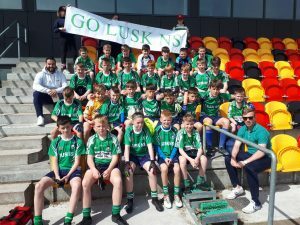 They were successful against a strong Scoil Mhuire, Howth team. 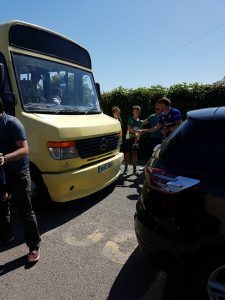 Despite going behind early in the first half, the team displayed excellent determination and teamwork to end up winning by a scoreline of 5-6 to 1-4. 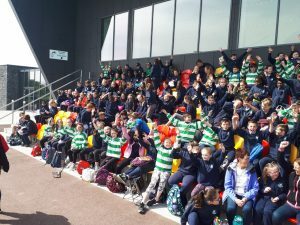 Leah Reilly capped off a fine performance by scoring two goals. 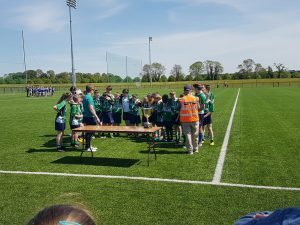 Thanks to Mr. Hickey and Mr. O’ Donnell for working with the team all year. Thanks to all the parents who came to support the team, as well as those who assisted with supervision on the buses. 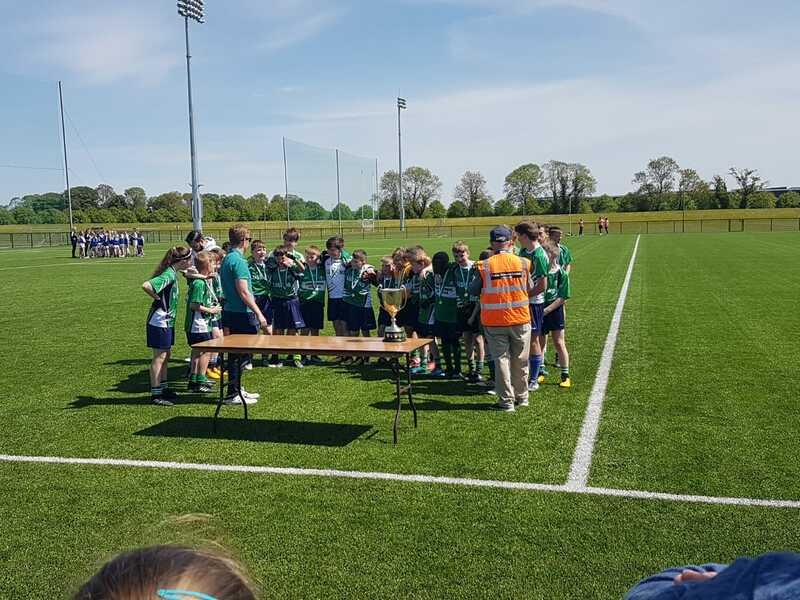 Well done to all the players, it was excellent to mark the final year in the school building by winning the trophy!